A lever tumbler lock is a type of lock that uses a set of levers to prevent the bolt from moving in the lock. In the simplest terms, lifting the tumbler, or ‘lever’, above a certain height will allow the bolt to slide past. The number of levers may vary, but it is usually an odd number in order to provide symmetry. You can also specify a minimum number of levers to provide better security in general. A lock is made up of levers (usually out of non-ferrous metals). Each lever needs to be lifted to a specific height by the key in order for the locking bolt to move. Typically, one cuts the belly of the lever away to various depths in order to provide different combinations. Or, they cut the gate in a different location in order to provide differs, or different combinations, for the lock. A lever will have pockets or gates through which the bolt stump moves during unlocking. 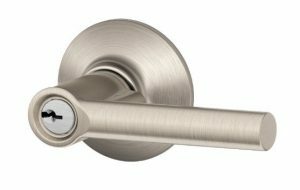 Here are the most common lever locks you will find on modern doors today. A 3 lever lock is a common type of lever lock, but is generally used for low security applications such as internal doors. As their tolerances are much lower, there are fewer combinations of key available, so they are likely to unlock doors they shouldn’t. 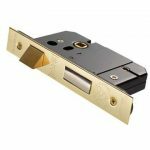 A Mortise Sash lock incorporates a Deadbolt and a Latch bolt within the same case. The Latch bolt is operated by a handle and the Deadbolt is opened and closed by using a key. You can find this lock on most front doors and many of them comply with British Standard BS3621. The Mortise Sash Locks are normally positioned just below the center of the door so they miss the joint between the mid rail and latching stile. They are also used in private flat entrance doors with an inside thumb turn deadlock. And on the side doors of houses where they are normally supported with a pair of mortise security bolts. Finally, the Sash Locks apply exactly the same security standards and feature as the mortise deadbolt locks below. A 5 lever lock is often required by home insurance companies and recommended by the police for home security. Most home insurers require at least one of the locks on your external doors. There are various grades, but the current (BS3621:2007) is usually required for insurance purposes. Although the doors of many historic churches still carry an old wooden lock, you will find that many of them have also installed a modern 5-lever mortise lock alongside it to meet insurance requirements. 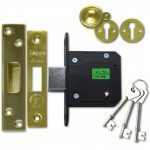 Most BS3621 Locks have anti pick devices built in to reduce the chance of lock picking, along with hardened bolts and anti-drill plates to reduce the risk of physical attack. Finally, you can find these locks with deadbolts, latches or a combination of both (when they’re called sash locks). Plus, you can get hook and claw bolts that are used for sliding doors and are fitted inside a lock pocket or a mortise cut out of the door. These locks are very common and chances are that you have one or more of them on your doors. Additionally, they are available in two different sizes to suit the width of the door stile into which they are fitted. They are operated either by a cylinder key or a levered key. 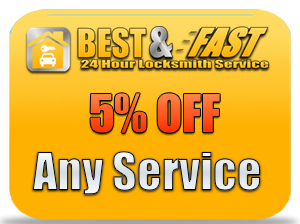 Get peace of mind knowing that you’ve entrusted your lock recommendation to our professional locksmith company. 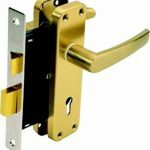 Safe Service Locksmith Pacoima has years of experience with lever tumbler locks and has installed or repaired hundreds of them on doors all over Los Angeles. Feel free to read our customer reviews online while comparing the estimates side by side. 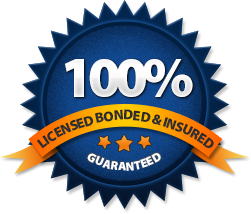 Our Locksmith professionals will tackle all projects, big and small, and we guarantee 100% satisfaction on the job every time. Don’t worry, we will help make the process easier by finding you the right professionals for your project. So give us a call today at (818) 296-9608 and let us take your home security to the next level.